The company Synthesia is a leading global manufacturer of organic pigments and dyes. 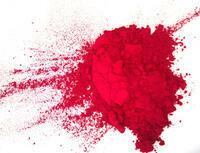 Currently, the only producer of organic pigments and dyes in the Czech Republic. Products exported to over 50 countries worldwide. The Synthesia customers include major companies in the sector of plastics, paints and printing inks, textile, wood, leather factories and paper mills. Strong position results from a stable production base and the ability to offer individual solutions. The specific requirements of our customers solve Synthesia with own research and development team (VUOS - Research Institute for Organic Syntheses). Synthesia is a must for providing top quality technical service to its customers, new product development or testing of pigments and dyes in various applications. Synthesia is a member of the International Association of dyes and organic pigments, with a focus on ecology and toxicology ( ETAD ).